Global political risk and security analyst. Michael Moran is currently finishing a year-long documentary project for Carnegie that looks at the dangers that the cyber hacking and information warfare of the 2016 relationship have reawakened in the US-Russian relationship. The basic question is this: After the ultimate reset in 1991, when the Soviet Union collapse and Russia rejoined the capitalist world, how did we get here again? ③ The Future: It’s Better Than You Think! We Americans are living in the midst of Generation Innovation but we act like terminal patients. With all the negative news and the media focus on Washington’s eternal food fight, the United States has an amazing ability to innovate, adapt, attract talent and self-correct. The US budget deficit shrinks in defiance of doomsayers, increasing tax revenues and leaving the US economy a lone ray of light on the global scene right now. The economic growth of the past few years may not feel fast enough to you, but as Americans continue to produce new, disruptive innovations - smart phones, drones, 3D printing, REITS, fracking – they have invalidated negative predictions about energy, manufacturing and growth while adding billions to our GDP. But the real growth story is about people: Demographic projections suggest the US is the only major advanced economy whose population will grow at over 25 percent over the next quarter century, providing yet another homegrown solution to the scaremongers favorite bogeyman: the collapse of Social Security. This talk provides a note of optimism among the noise. 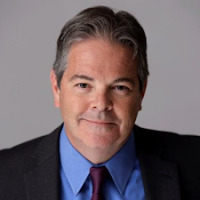 Michael Moran is an internationally respected geostrategist, author and political analyst whose work has transformed the public-facing brands, media strategies and organizational structures of some of the world’s leading financial, media and policy institutions. Michael is currently an Adjunct Lecturer of Political Risk and International Affairs at University of Denver's Josef Korbel School of International Studies. As CEO and Chief Strategy Officer at Tranformative.io, Moran leads a world-class team of sectoral and subject matter experts whose work focuses on the nexus of thought leadership and business environment forecasting – a skill set perfectly suited to the volatile and dynamic environment of the 21st century. Moran and the Transformative team provide actionable intelligence and market strategy for some of the world’s leading organizations. His work in risk consulting, digital strategy, policy analysis and thought leadership has won awards for excellence and innovation around the world. Before launching Transformative in late 2016, Moran served as Principal and chief US/macro political analyst at Control Risks, the world’s leading political and security consultancy. While helping formulate the company’s messaging and digital media strategy and launched several new digital initiatives during his tenure. He also led Control Risks’ US political risk practice, delivering insights and forecasts to the company’s Fortune 500 and FTSE 100 clients on macro trends and regulatory risk. Moran, a Visiting Fellow for Peace and Security and the Carnegie Corporation of New York and a lecturer on international affairs at Bard College, is also an accomplished author and award-winning documentarian. 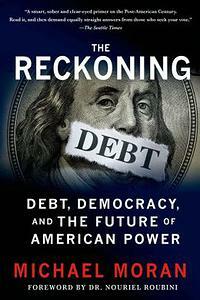 Of his 2012 book, The Reckoning: Debt, Democracy and the Future of American Power, was described by Ian Bremmer of Eurasia Group wrote that “Moran is a sharp thinker and fine storyteller, and The Reckoning is a terrifically engaging read. 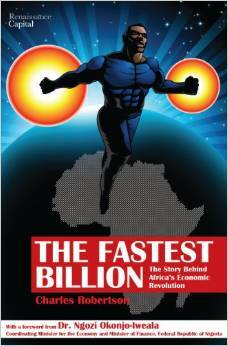 Moran is also co-author with economist Charles Robertson of the The Fastest Billion: The Story Behind Africa’s Economic Revolution and the winner of three Emmy Awards for the Crisis Guides documentary series he conceived and produced for the Council on Foreign Relations. Moran previously served as head of thought leadership at the investment bank Renaissance Capital, and as chief geo-strategist for Roubini Global Economics, where he helped develop and launch the company’s product offering. Moran began his career as a journalist, and in the course of a 20-year career as NBC News, the BBC World Service, Radio Free Europe/Radio Liberty and other outlets, he won awards for innovation, excellence and public service. In 1996, he was part of the launch team of MSNBC.com, the joint venture between Microsoft and NBC News. Today, Moran’s commentary regularly appears in prominent newspapers and broadcast outlets including Foreign Affairs, the Los Angeles Times, CNBC, Foreign Policy and Slate. Moran and the Transfomative team have lectured at dozens of universities, government agencies and think tanks around the world. They represent the cutting edge of a new and badly needed amalgam of digital savvy, corporate strategy, thought leadership and crisis communications.